As you know, I had talk about the japansese special rules for writing a text such as “????”. 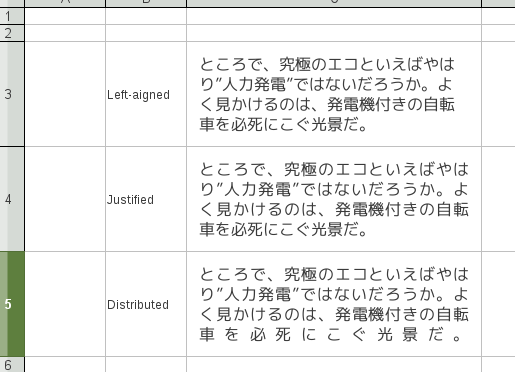 This rule is only appeared in Japanse, not in Chinese and Hagle. Though I had worked the multilingal text enveroment on X Window Systems on 20 years ago, there is nothing discusssed about a generalization. I’m happy to work that you work abou these issues. Thanks for your comment. Actually my work just involves text justification, and ???? in fact has already been implemented someone else. Having said that, it was time that someone put some effort into improving the text processing for Asian languages. There are still several more issues I’d like to look into, as time permits. Hi, thanks for your work. I was just looking for this feature for Chinese text that I will use in a table. 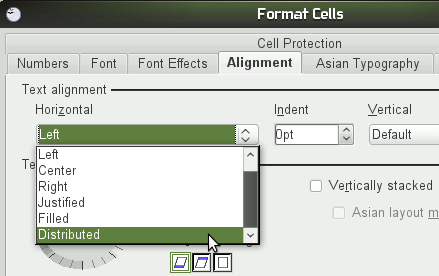 One question, I have installed OpenOffice.org 3.2 (en-US) but cannot find this feature. Is it available in a specific language version or is this feature not yet published? This feature is at the moment only available in version 3.2.1 of the Go-OO variant of OOo. If you use a Linux distro, the version provided by the distro is most likely Go-OO. If on Windows you can download the latest 3.2.1 from http://go-oo.org/download.